Masa is a type of corn flour used to make the dough for tamales and empanadas. It is made by soaking the whole corn kernel in a calcium-rich lime water, which helps remove the outer skin, then drying and grounding the remainder. As a ground flour, masa is a more concentrated source of calories than the whole corn and a better source of calcium. Comparing the nutrition of the two can help you determine the health benefits of each. When comparing the same serving size, the masa flour is significantly higher in calories than the whole corn. A 1-cup serving of the masa flour contains 416 calories, while the same size serving of whole corn contains 132 calories. You're not likely to consume 1-cup of masa at one sitting, however. One cup of the masa flour makes eight to nine corn tortillas. The masa flour is also much higher in carbohydrates and fiber than the whole corn. A 1-cup serving of the masa contains 87 grams of carbohydrates and 7.3 grams of fiber, while the whole corn contain 29 grams of carbohydrates and 4.2 grams of fiber. Both the carbohydrates and fiber in both types of corn make a healthy addition to your diet. Carbohydrates provide energy, while fiber helps control appetite and prevent constipation. The masa flour is also a more concentrated source of protein and fat. A 1-cup serving of the flour contains 11 grams of protein and 4.4 grams of fat, and the whole corn 5 grams of protein and 1.8 grams of fat. The protein in both the masa and the whole corn does not provide your body with all of the essential amino acids, so it is not a complete source of protein. Most of the fat in the two corn products come from a combination of monounsaturated and polyunsaturated fats. Vitamin and mineral content of the two corn products differ. While the masa is a more concentrated source of most nutrients, the whole corn is a better source of vitamin C. A 1-cup serving of the masa flour contains 155 milligrams of calcium, 8.54 milligrams of iron, 2.05 milligrams of zinc, zero milligrams of vitamin C and 238 micrograms of folate. 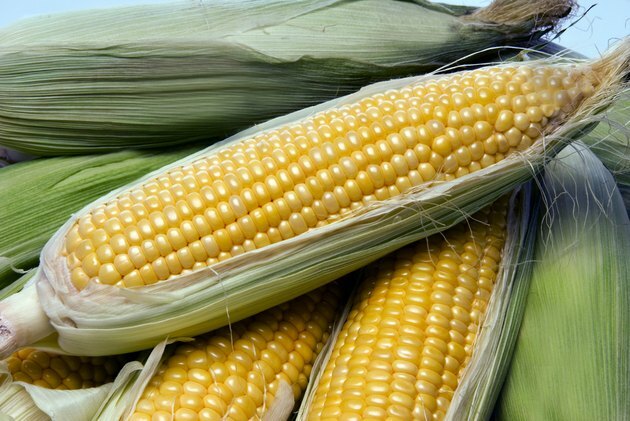 The same size serving of whole corn contains 3 milligrams of calcium, 0.8 milligrams of iron, 0.69 milligrams of zinc, 10.5 milligrams of vitamin C and 71 micrograms of folate.